Welcome to Avery Graham Interiors! Unbeknownst to me at the time, my passion for design began as a college student working in a home furnishings boutique. I went on to law school but, while studying for exams and taking on legal internships, I was painting my apartment, perusing antique markets, and sewing slipcovers. More than a decade into a successful legal career, I realized that I wanted to pursue a career in design. I enrolled in U.C. Berkeley’s Interior Design and Interior Architecture program in 2008. After completing several semesters of coursework, I decided to move out of the classroom and into the real world. I began splitting my time between law and design, completing a number of renovation projects over the next several years. My experience runs the gamut of decorating individual rooms to completing full “gut” renovations. 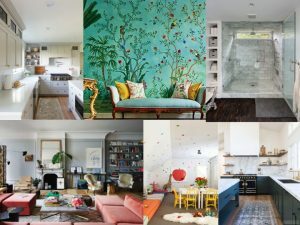 I have also worked as a lighting consultant and, in 2014, co-founded www.revolvingdecor.com, a blog focused on design and style. In 2018, my family relocated from San Francisco to Chicago and I decided to pursue my passion for decorating and design on a full-time basis. I believe every individual is unique and I love creating spaces that are tailored to the needs and style of the people who live in them. I am thrilled to share Avery Graham Interiors with you and I would love to help you transform your space into a home that you love.